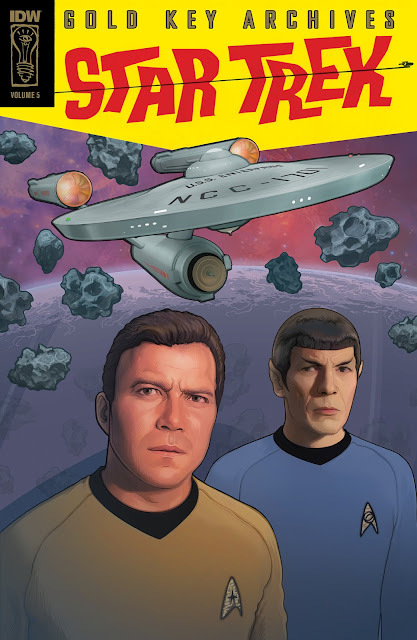 IDW have published their solicitations for April, which include lots of new Star Trek comics, with both the start of one miniseries, and the end of another, and a good dose of TOS too. 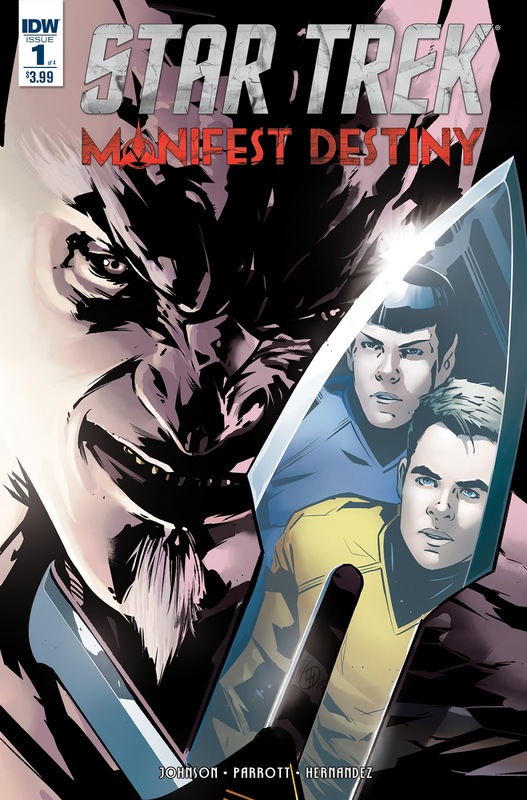 Continue below for all April's titles, and more Star Trek comics news. 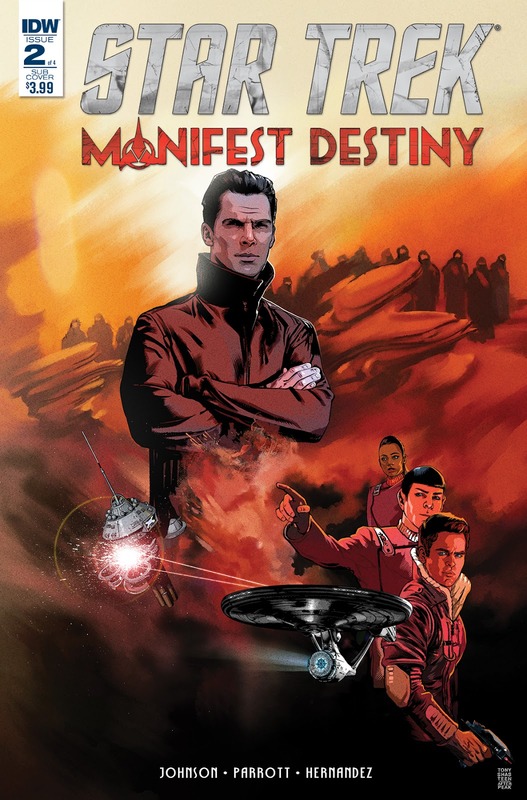 The big news of the month is the start of a new four-issue miniseries, Manifest Destiny, a story featuring the Klingons. This is being marketed as a fiftieth anniversary event series, and will be released fortnightly, so April will see two issues. This first issue will apparently be longer than usual, noted as a forty page book (rather than the usual thirty-two). It will also be issued in a Klingon-language edition! There will be at least six different covers/editions. The standard cover is from the issue artist, Angel Hernandez. 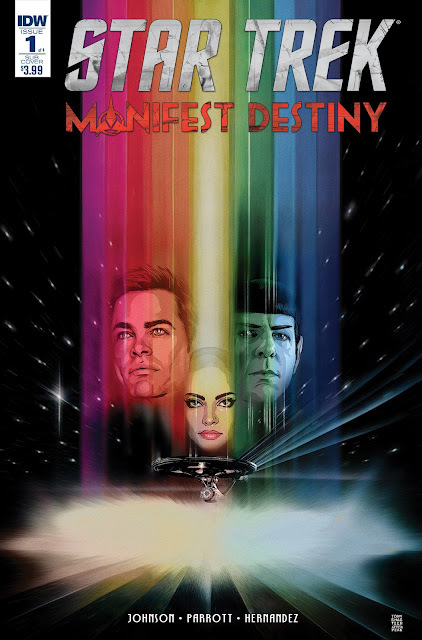 The subscription cover is a homage to Bob Peak's The Motion Picture poster, by Tony Shasteen. There will also be a variant cover from Rachael Stott (not revealed yet). 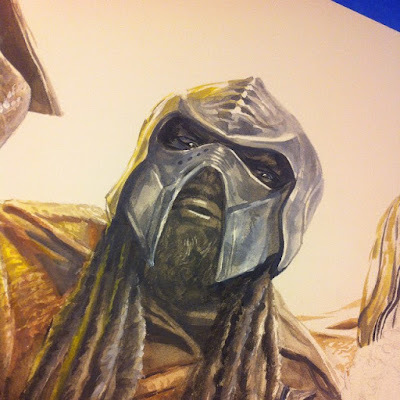 Then there will be Klingon language editions from the same artists (none have been released so far, so it's not clear if the same artwork will be reused for these or not). This issue is back to the regular thirty-two pages. There will be three covers, with the standard cover again by Angel Hernandez. 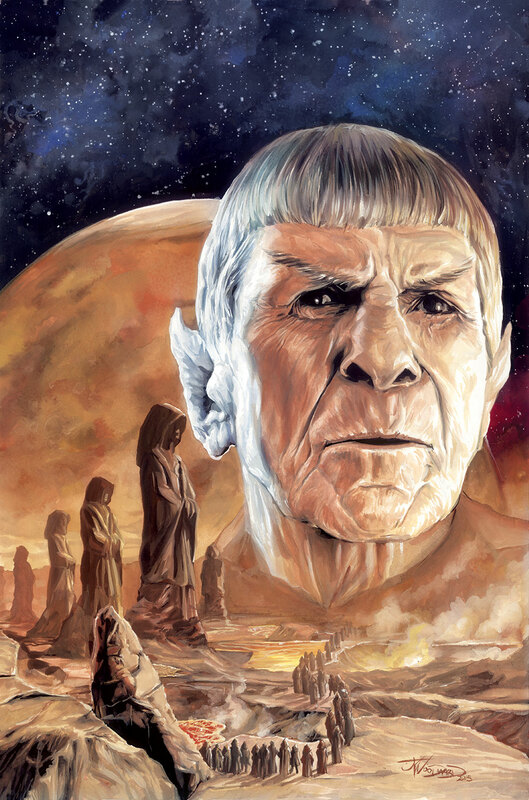 Tony Shasteen continues the poster homages for the subscription cover, this time based on Bob Peak's Wrath of Khan poster. And J.K. Woodward provides a further variant cover (not released yet). J.K. Woodward did recently post this snippet of something he is working on, on his Instagram. perhaps a suitably Klingon cover for this book? 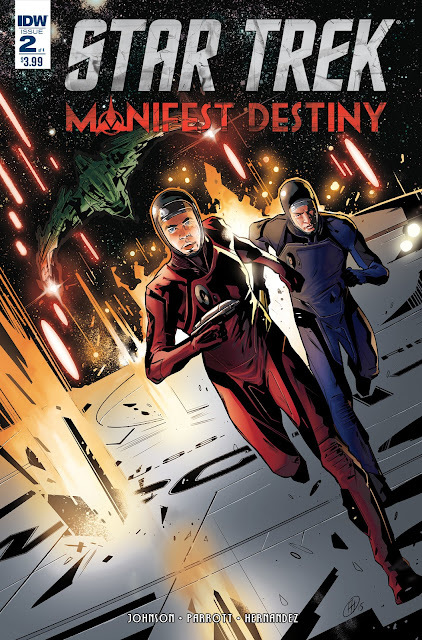 There will be two covers for this one, the main cover by Tony Shasteen, and the subscription cover by John Watson. The latter cover is part of IDW's Art Appreciation Month, which will see various titles released in covered inspired by classic works of art. 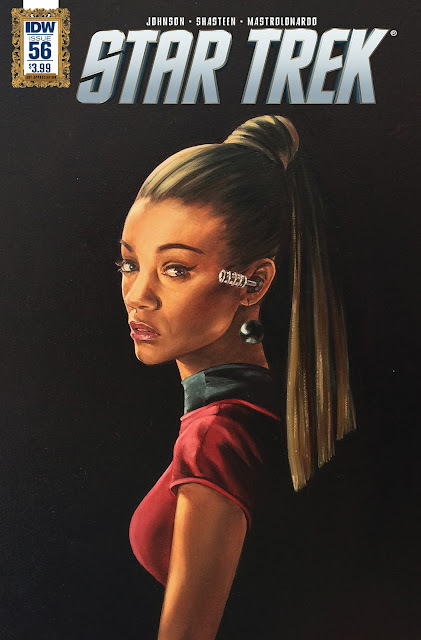 This Star Trek edition is a take on Vermeer's "Girl With a Pearl Earring" (thanks to the commenter below for identifying it!). Part one of this story, in the previous issue, will be available in a cover by J.K. Woodward, who has recently posted a blog detailing his process for creating the artwork. If you're interested in how this picture came together, you should definitely go and have a look! 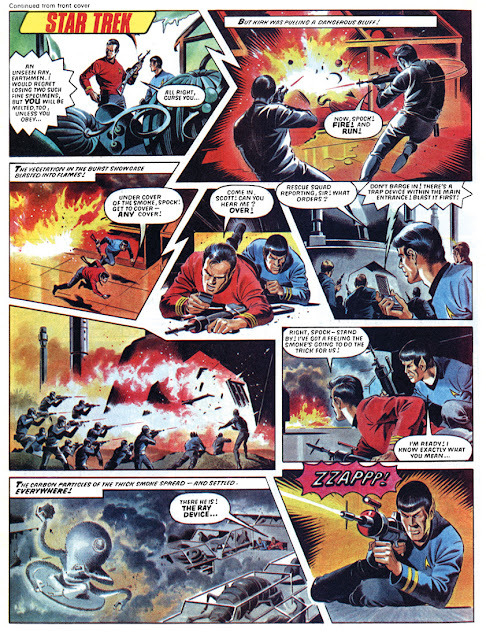 Written by Arnold Drake, John David Warner, George Kashdan, and Allan Moniz, with art by Alberto Giolitti. Bit of bad news. 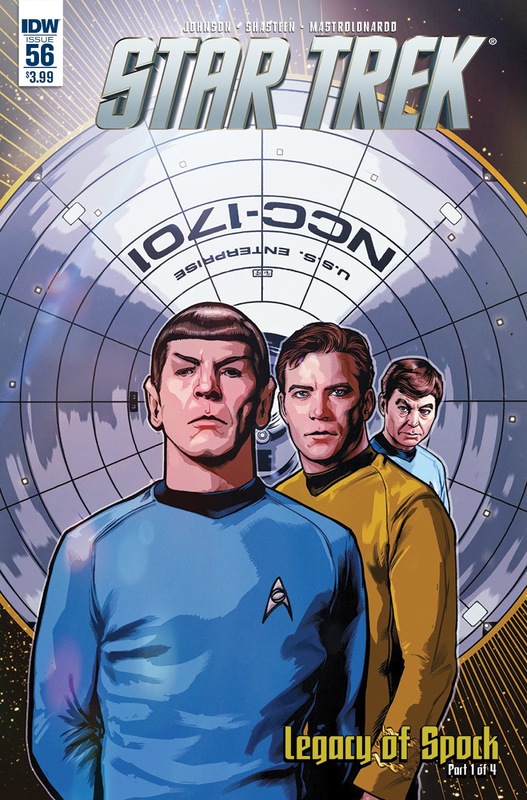 Chris Ryall informs me that the tsunami of 50th Anniversary material IDW is publishing this year has caused NEW VISIONS 11 to be pushed back a month, to April. For full listings of all the upcoming Star Trek comic releases, and links to my previous coverage, hit the comics button on my 2016 schedule page. You can also find further comics series reading lists on Trek Collective Lists, including a look back through the entire nuTrek ongoing series, and details of the Gold Key Archives books. 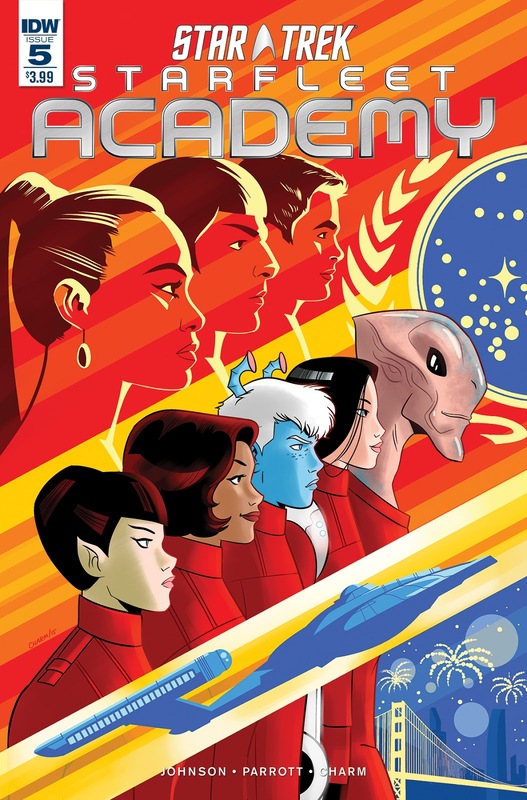 That cover is an homage to Vermeer's "Girl With a Pearl Earring"
Sarah Gaydos has confirmed on Twitter that she is working with Klingon Language Institute on the Klingon version. Thanks for the updates commenters!